The 2017 Honda CR-V, America’s best-selling SUV, has earned the highest possible safety rating of TOP SAFETY PICK+ from the Insurance Institute for Highway Safety (IIHS) when equipped with available Honda Sensing™ and LED headlights. The model earned a SUPERIOR rating for frontal crash prevention when equipped with available Honda Sensing. 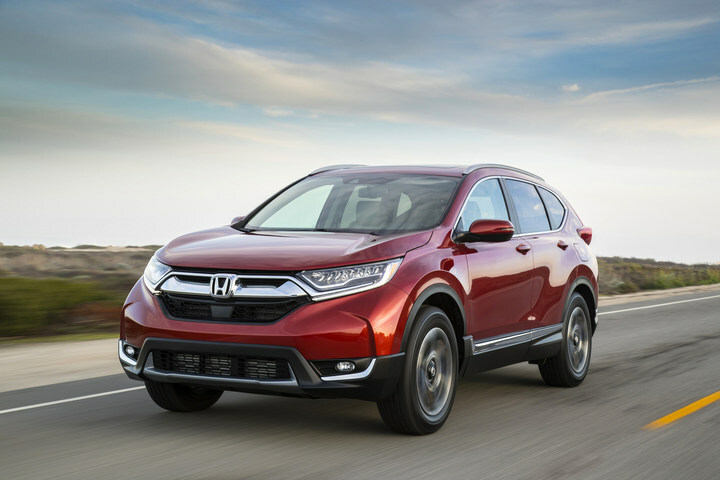 Honda Sensing is standard on EX and higher trims on the CR-V.
To earn the 2017 TOP SAFETY PICK+ award, a vehicle must earn a rating of GOOD in the small overlap front, moderate overlap front, side, roof strength and head restraint tests. It also must have an available front crash prevention system with an ADVANCED or SUPERIOR rating and headlights that earn an ACCEPTABLE or GOOD rating. For the 2017 model year, four Honda models have earned a TOP SAFETY PICK+, with three models receiving a TOP SAFETY PICK rating under the Institute’s more stringent 2017 ratings requirements, making Honda among the leaders in safety ratings in the automotive industry. Honda vehicles offer a broad range of active and passive safety features, including the Honda Sensing suite of advanced safety and driver-assistive technologies, which can help drivers avoid a collision or mitigate its severity. There are more than 300,000 vehicles equipped with Honda Sensing on U.S. roads today. Honda Sensing is available on the Civic, Accord, CR-V, Pilot and Ridgeline. Honda Sensing technologies include Collision Mitigation Braking System™ (CMBS™) with Forward Collision Warning (FCW), Road Departure Mitigation (RDM) with Lane Departure Warning (LDW), Lane Keeping Assist System (LKAS) and Adaptive Cruise Control (ACC). All 2017 Honda models come equipped with a multi-angle rearview camera as standard equipment. Additional standard safety equipment on all Honda models include Advance Compatibility Engineering™ (ACE™) body structure; Vehicle Stability Assist™ (VSA®) with traction control; Anti-lock Braking System (ABS); side curtain airbags (some vehicles equipped with a rollover sensor as well); advanced front airbags; and front side airbags.